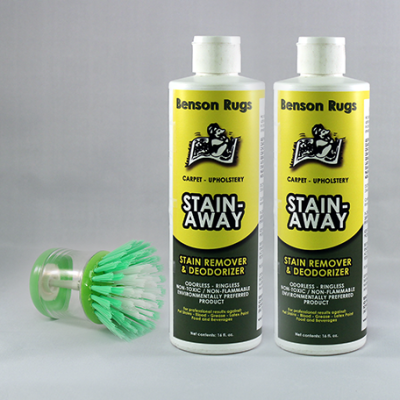 What Can Stain-Away Do for You? 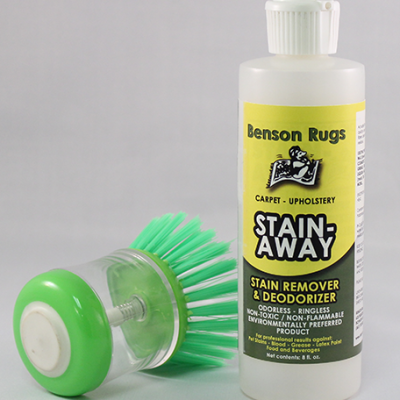 Actually lifts stains from carpet and upholstery quickly and easily. Just rub it in and blot. 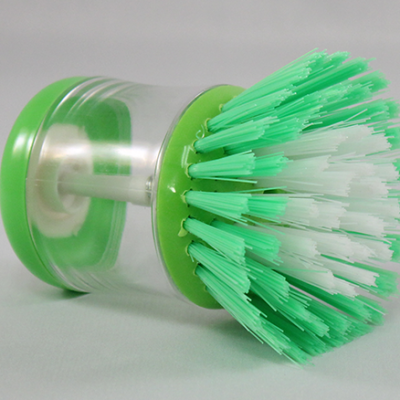 Leaves fibers clean and smelling fresh- without soapy residue. 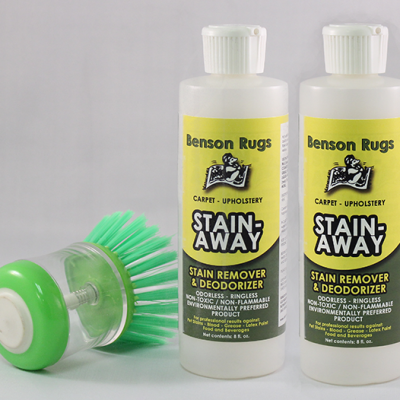 How Do You Use Stain-Away? Always test fiber for color use in an inconspicuous area prior to attempting stain removal. 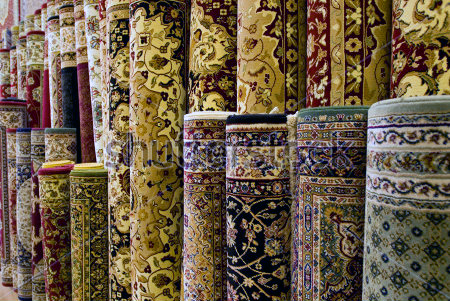 Do not apply to white, off white carpet/upholstery fibers or any color sensitive fibers, leather, satin, silk, suede, velvet, non-colorfast wool, or any fabric that can be damaged by water-based solutions. 1. Apply product directly to stained area. 2. 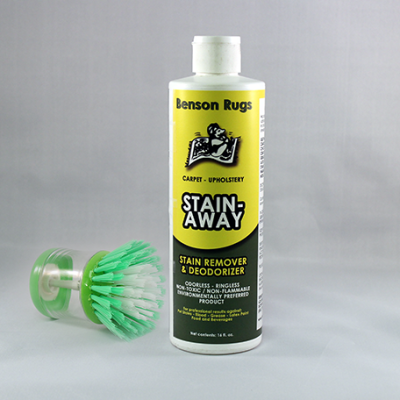 Repeatedly tap stain with clean spotting brush. 3. Brush with clean, folded white terry cloth towel, applying strong palm pressure or by standing on blotter with full body weight shifting towel to clean areas as needed. 4. Dry the area immediately using a circular fan to prevent wicking. Repeat steps if necessary. 1. Apply product to a clean white terry cloth towel and rub/blot stained area. 2. Remoisten clean area of towel with product and repeat steps if necessary. 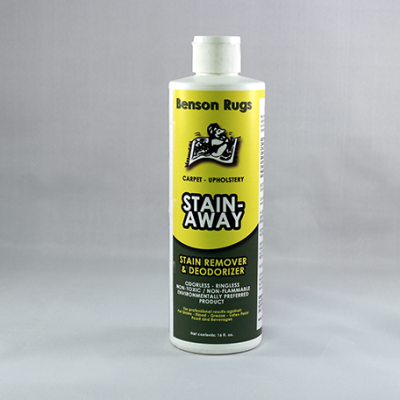 NOTE: when removing stains from clothing, first remove clothing and place absorbent blotter behind stained area before stain removal. 1. Apply product directly to stain. 2. Fold fabric and rub stained area together. 3. Machine wash. 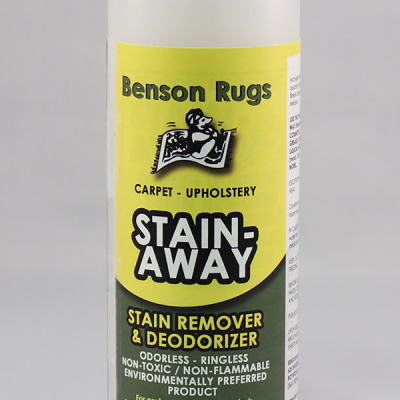 If stain persists, repeat procedure before drying. Excessive heat from the dryer may actually set stains into the fiber.